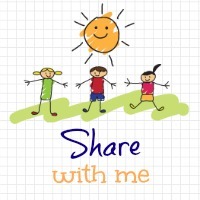 Welcome to the ‘Share With Me’ blog hop Week 21! Without further ado last week’s favorite was from the lovely Emily Beale-Simple Special Family Photography. She has the biggest heart and is giving back. If you missed it last week you have to check it out! Hi Jenny, I have joined in this week. Great linky!! Thank you so much that’s fantastic!!! I look forward to reading it Gina. Appreciate the linky support! Hope you enjoy it! I’m Joining in this week too!!! That’s fantastic. Thank you. I look forward to your post and getting to know you and your blog. Hope you enjoy it. Thanks Lucy. I was worried as it was going quieter but meeting people at britmums really helped I think. I am so grateful so many are linking up! Very blessed to have so much support.